I personally feel that upcoming VS.Net version will going to be really cool. You will find lot of features out of box to quickly get you started for development. This release will going to be for those, who wants to write less code and do rapid development with less code maintenance. 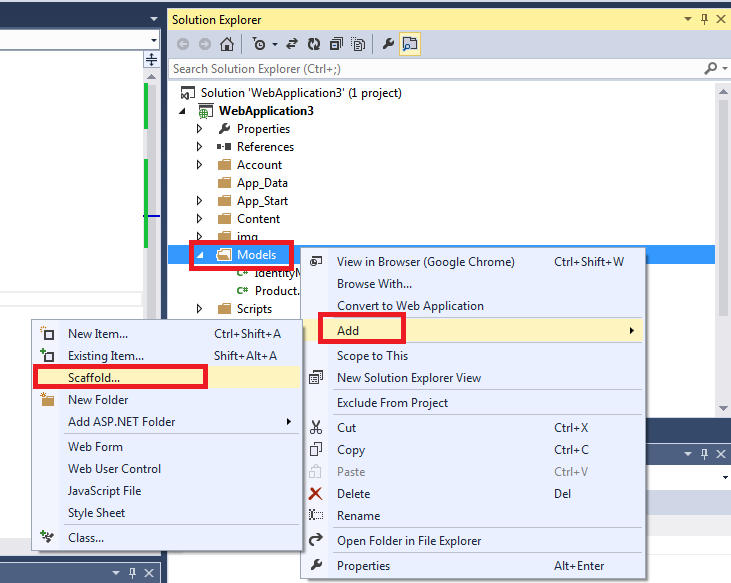 Scaffolding available for Asp.net web forms, mvc and web api projects. 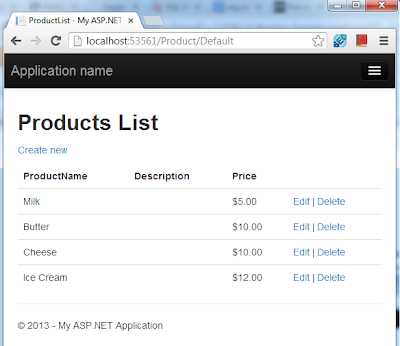 One Asp.net - You can mix asp.net web form, mvc, web api other technologies to serve your needs. And many more... Please note I didn't get chance to explore all. 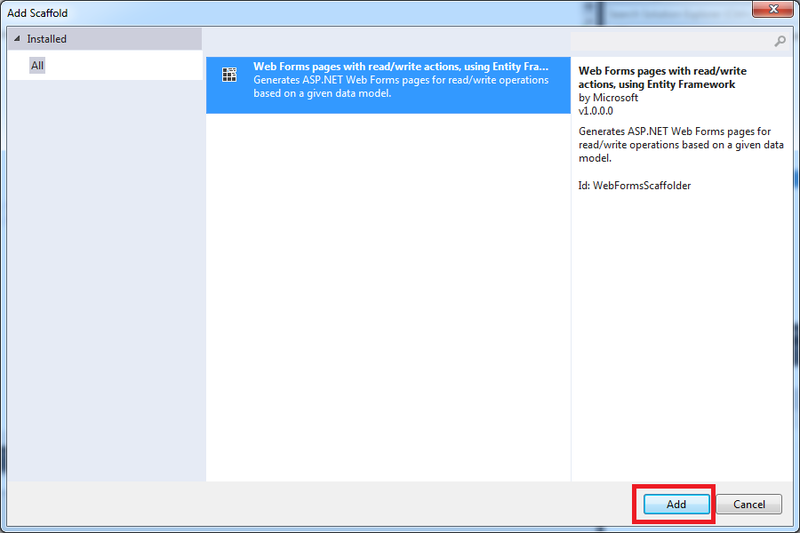 With VS.Net 2013 we will have scaffold template included for asp.net web forms. 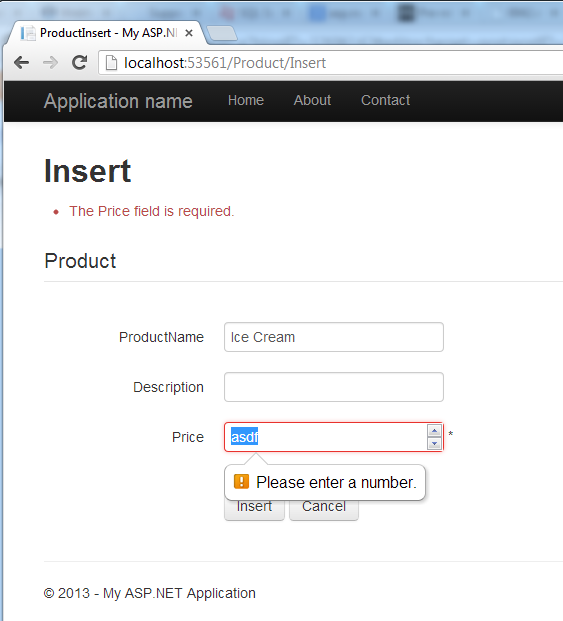 By scaffold template you can generate a boilerplate code for asp.net web forms in a min. 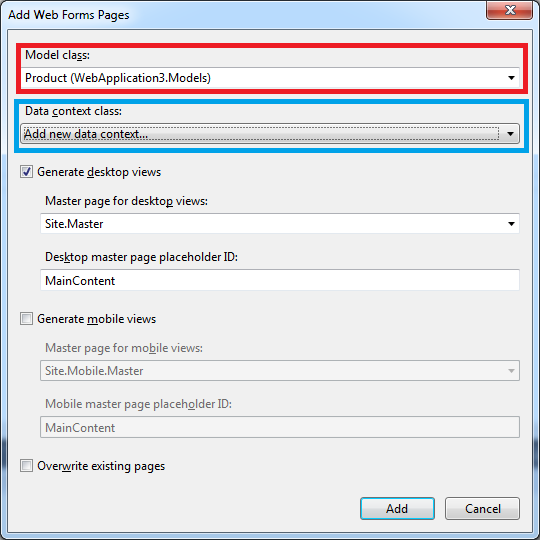 The Web Forms scaffold generator can automatically build Create-Read-Update-Delete (CRUD) views based on a model. 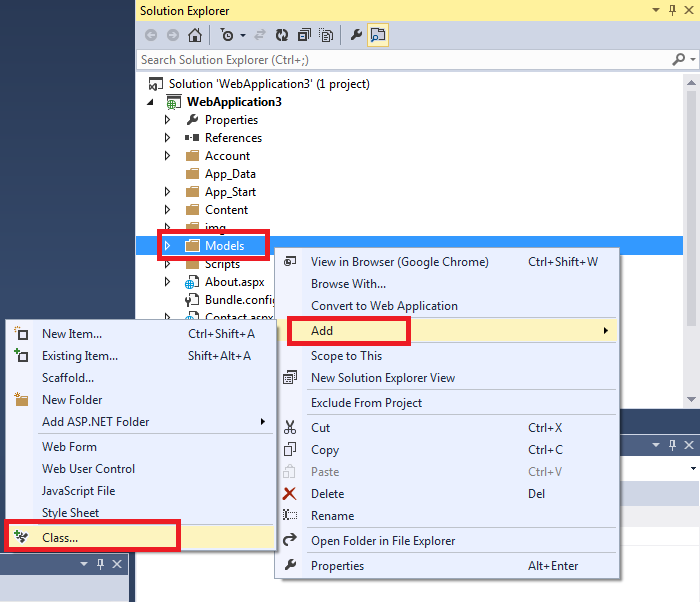 Step by Step example of using scaffold template inside asp.net web forms to generate CRUD operations. Create POCO Class with following content in it. 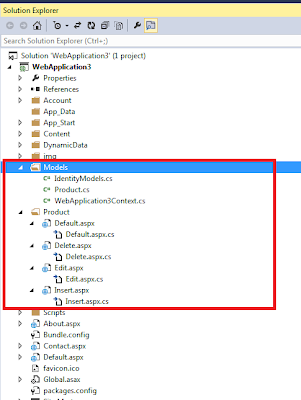 Yes you can take advantage of DataAnnotations of Entity framework. [StringLenght(25)] will limit product name upto 25 characters only. [DataType(DataType.Currency)] will limit to enter only proper currency value. 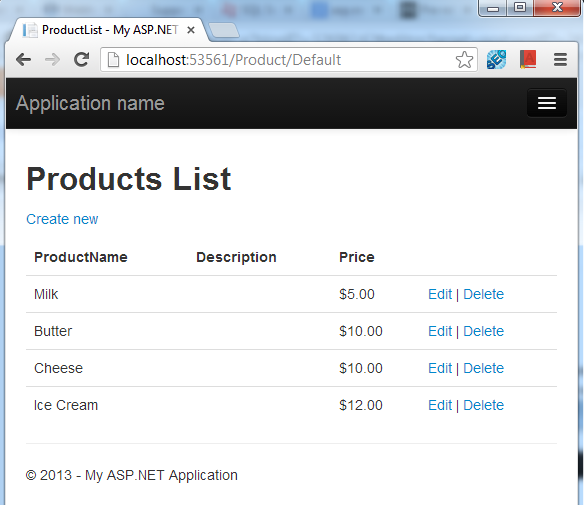 Now its time to use scaffold template to generate code for CRUD operations in asp.net web forms. 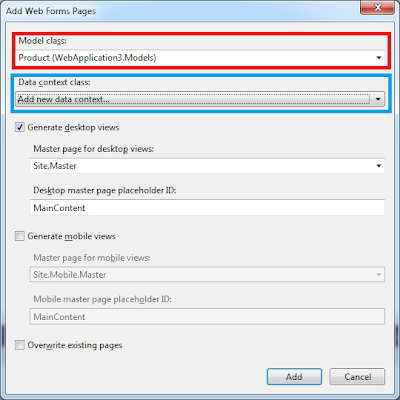 Right click on model class and add scaffold for Product class. 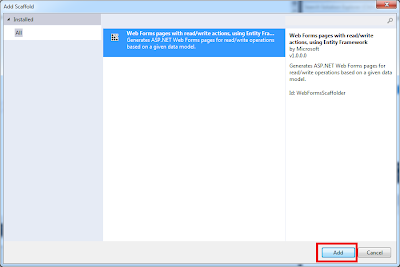 Click on Add button as shown in figure to "Generates Asp.net Web Forms pages for read/write operations based on a given data model." Select Model class as "Product.cs", Since we haven't created or have any data context class, select "Add new data context" and Click on "Add" button. If you wish you can change name of your data context class. 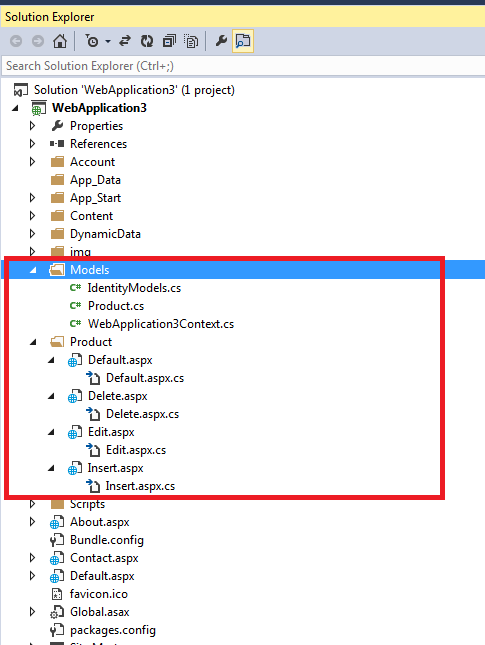 For this demo purpose I am keeping everything to default generated by VS.Net. Press "OK" button. 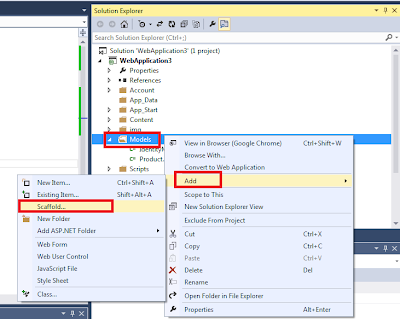 You will noticed that VS.Net 2013 has generated new data context file inside model folder and has also created CRUD operations for Product class. Data Entry few product. Notice fancy validation on entering wrong values. "Everything is out of box, you don't need to write a single line of code to make this working... Isn't that cool"
Recently I was facing an issue with connecting to oracle. I was keep on getting below error when trying to connect oracle through .Net Code. Error: OCIEnvCreate failed with return code -1 but error message text was not available. I am using Win 7 machine with Oracle Installed on it and using Oracle SQL Developer. Few days back IT team at my company push updates and for some reason this updates image has uninstalled Oracle client on my machine. Oracle Client being not installed on my system was the cause of this error. Check for Start > All Programs > Oracle - OraClient11g_home_64bit > Application Development > and Click on SQLPlus Icon. If that Icon brings up following error, then you need to reinstall Oracle Client in order to pass through this error. The drive or network connection that the shortcut 'SQL Plus.lnk' refers to is unavailable. Make sure that the disk is properly inserted or the network resource is available, and then try again. Hope this helps you in narrow down your problem.